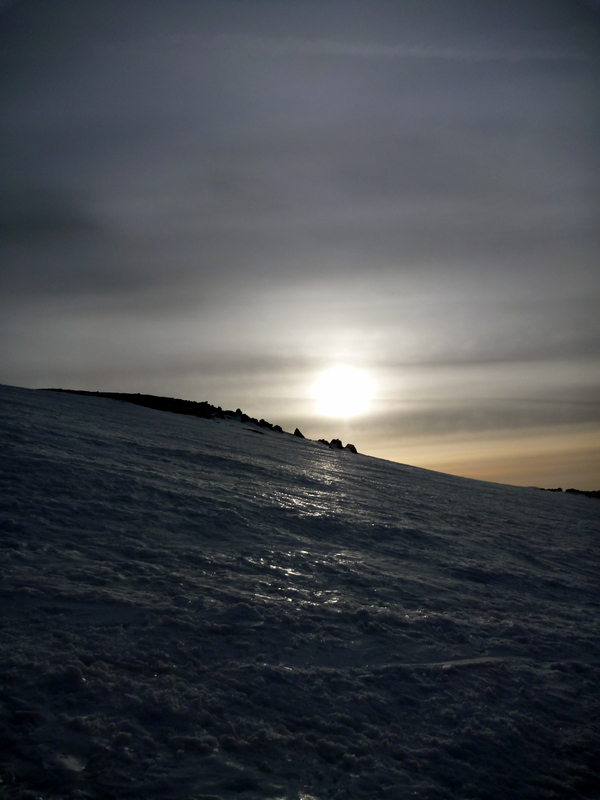 This post represents two milestones: I recently had the opportunity to summit Mt. 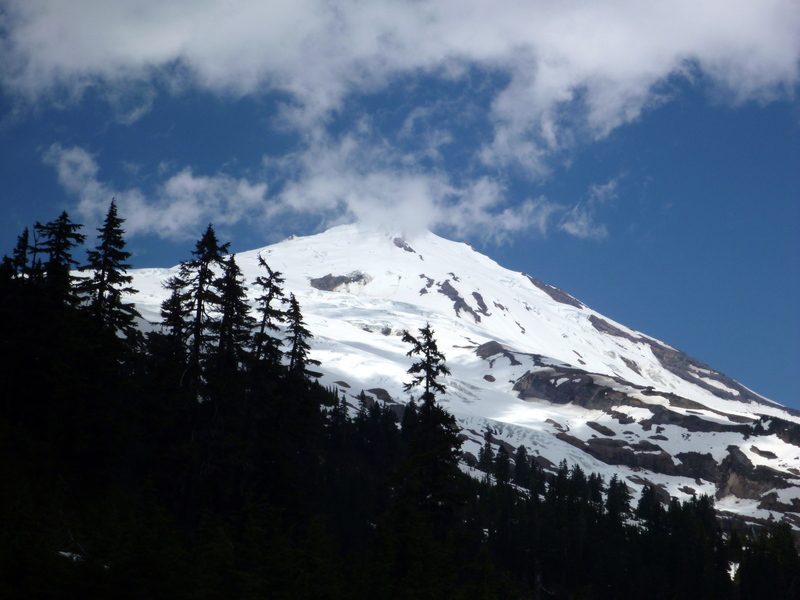 Rainier for the first time, and this is my 100th post on the Blog! I couldn’t have picked a more fitting trip. 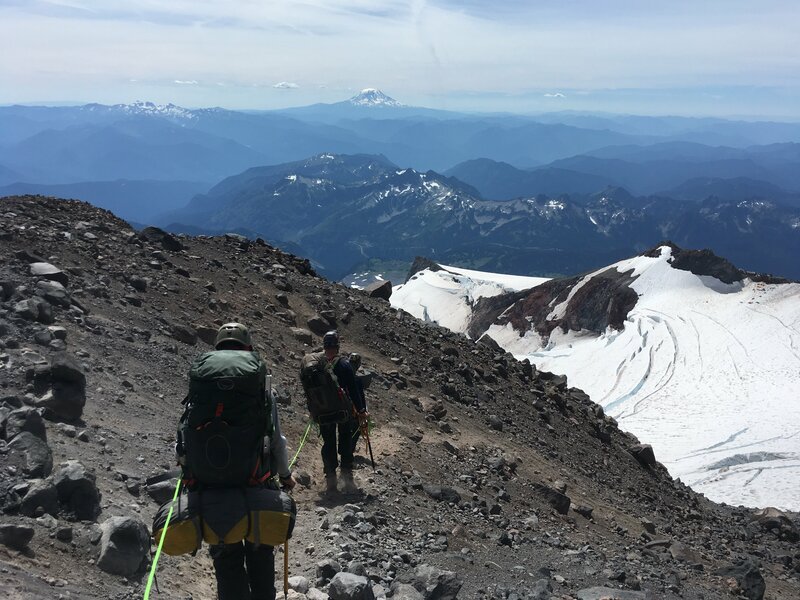 We ascended via the easiest route on the mountain (the DC route) but Rainier is not an easy mountain and it was a significant challenge I’ll remember for a long time. My team of 4 independent climbers geared up at the Wilderness Information Center at Paradise on Friday morning at 6am in order to get in line for a permit on the Ingraham Glacier – which we scored the last of! 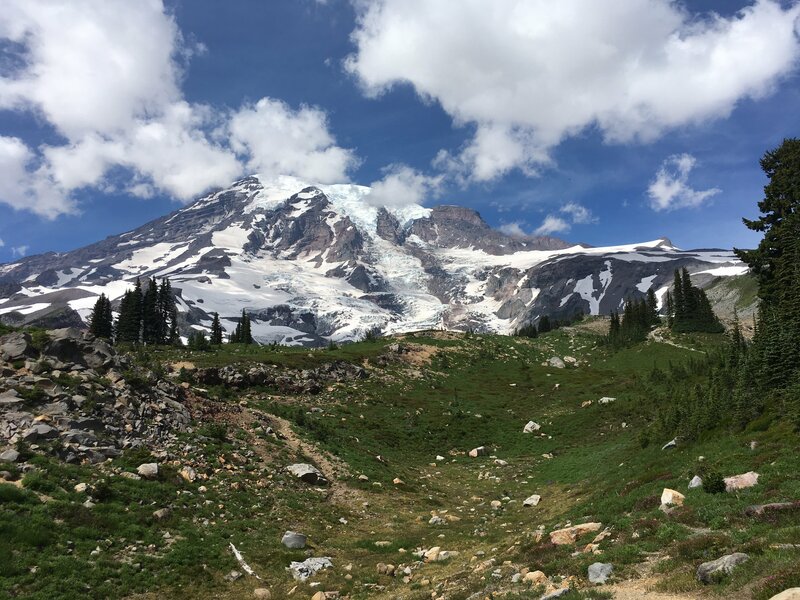 We set off from Paradise at 7:30am or so, gaining over 2500′ on dry ground until we hit the Muir Snowfield for the last few thousand feet to our first rest stop, at Camp Muir (elevation 10,200′). 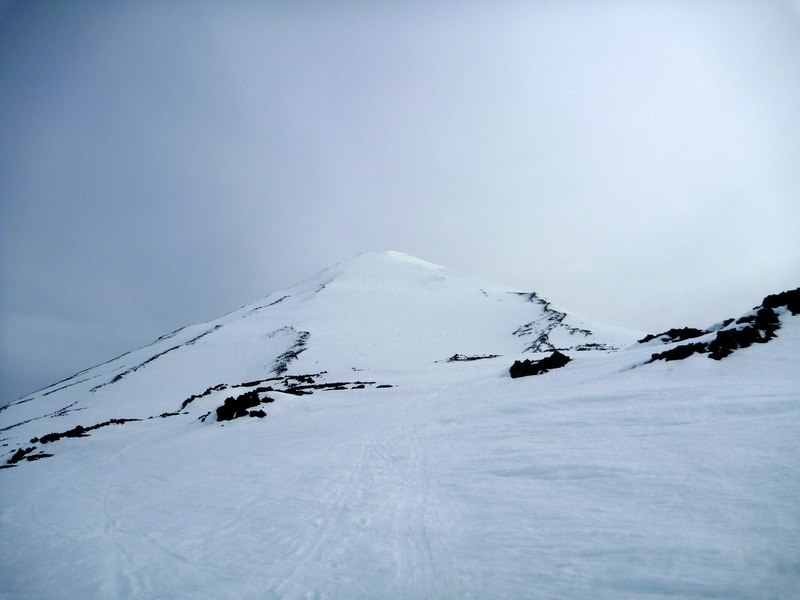 We grabbed some food, rested for a bit, then roped up for travel across the mellow traverse on the Cowlitz Glacier. After reaching the dry rocks on the other side (Cathedral Gap) we shortened the rope with Kiwi coils and continued up the loose but manageable switchbacks. 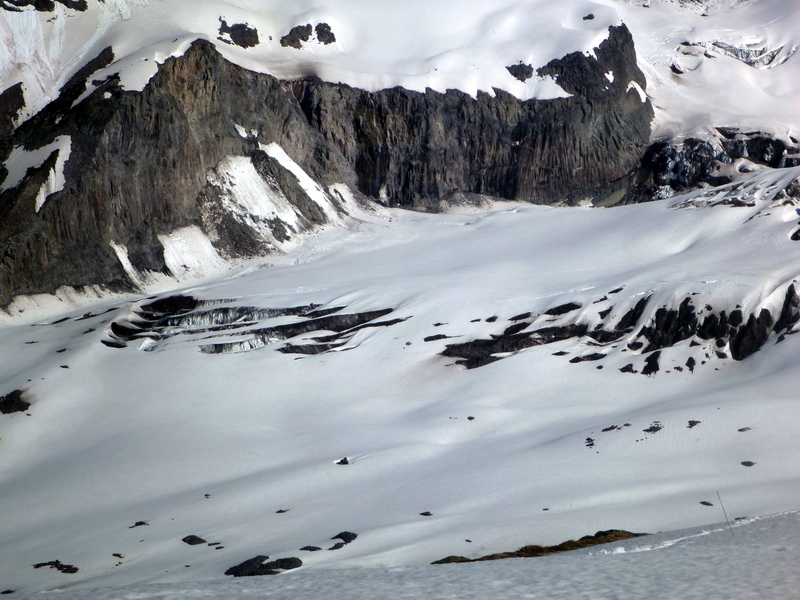 Soon we stepped onto the heavily crevassed Ingraham Glacier for the final couple hundred feet to camp. I signed up for the Mountaineers ski crevasse rescue class which ended up being a really worthwhile way to spend a few weekday evenings and a weekend field trip. We learned about basic glacier travel, route finding, and especially crevasse rescue pulley systems. The purpose of learning the system is to be able to haul a potentially injured skier out of a crevasse on a rope using mechanical force advantage. 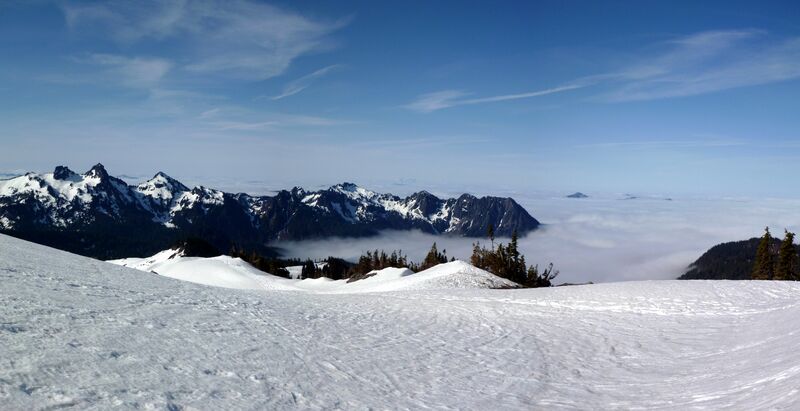 Skinning above the cloud layer on Rainier! 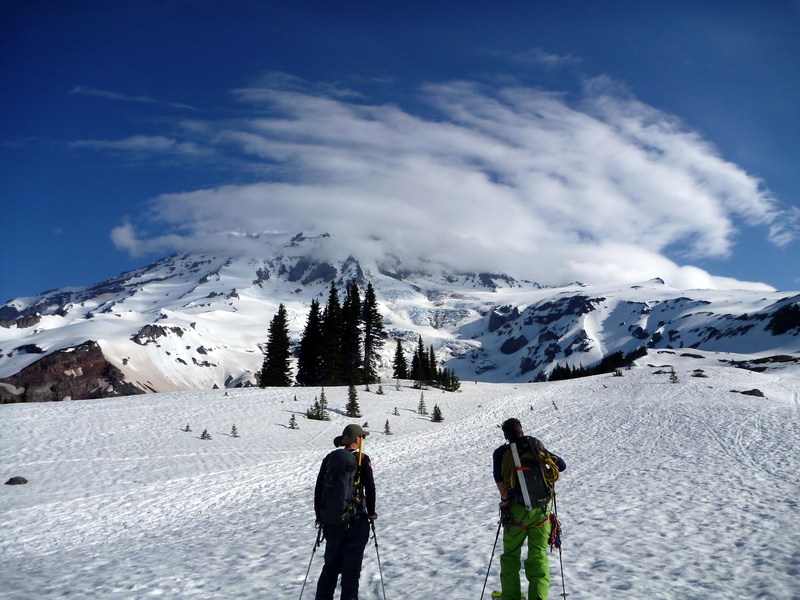 With a beautiful sunny weekend ahead, Ryan and I set out to do some spring snow climbing and chose a prominent summit in the Snoqualmie Pass area, Kaleetan Peak (meaning “Arrow” in the Chinook language). With the shockingly low snowpack this year, we weren’t exactly sure what sort of conditions we would encounter. We opted for a lazy alpine start of 6am leaving from the Denny Creek trailhead in order to minimize the already-small risk of wet loose avalanches on the descent (in warm afternoon conditions, “solar” aspects can often become destabilized). Our plan was to ascend the peak via an East facing couloir to access the normal scrambling route from there to the summit. We packed for non-technical snow climbing including ice axe and crampons, both of which turned out to be essential on this route in these conditions. 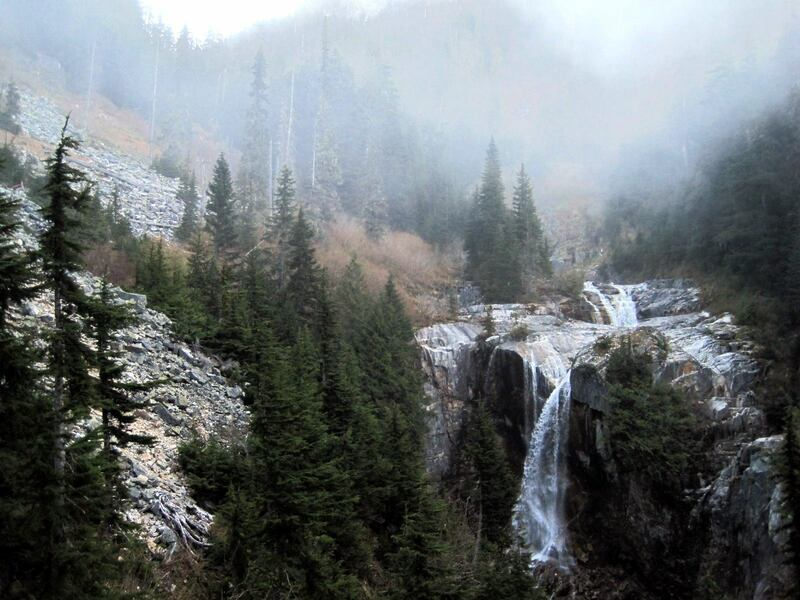 The Denny Creek trail to the pass is very pleasant – dense forest, waterfalls, and nice views down the valley as the trail gradually gains elevation to Hemlock Pass..